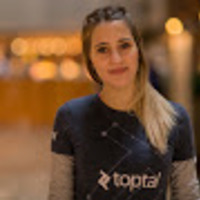 On October 25th, we’re proud to be partnering with WeWork Torre Bellini in Buenos Aires to organize a Toptal Coworking Day. Come join us for a day of working on Toptal client work, personal projects, or anything in between. We’ll end the day with a networking event at The Temple Bar. Please RSVP on this page to give us an accurate head count. Space is limited so make sure you contact Victoria Marafetti for any questions.